MapleStory 2 requires a Nexon America account to play. 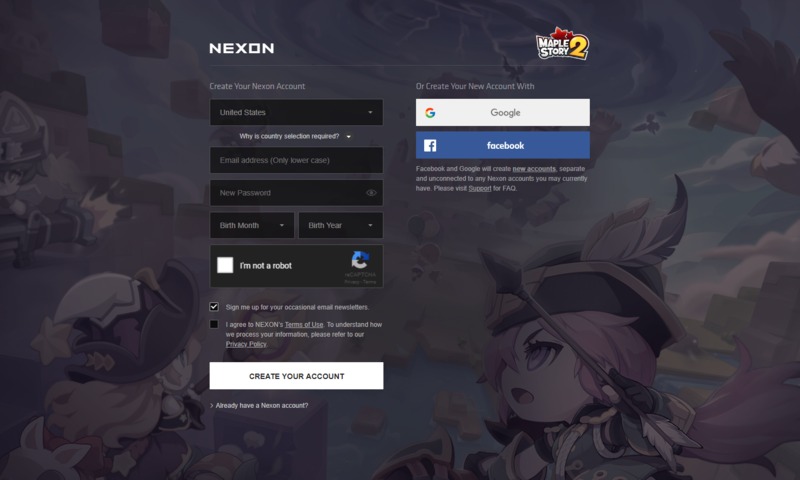 If you don't have a Nexon America account, you can create one for free here! MapleStory 2 can be downloaded and played via Nexon Launcher. Nexon Launcher will help manage your Nexon games, allowing for easy login and updating. Once you've downloaded Nexon Launcher, you can log in with your Nexon account to get started. Once you're logged into Nexon Launcher, you can find MapleStory 2 (and many other Nexon games) on the "All Games" page. Click on MapleStory 2 and then "Play Now" to begin to download the game! 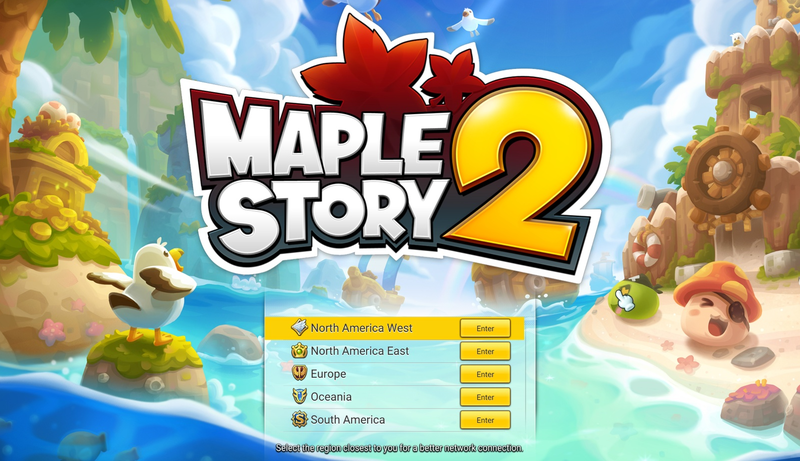 When you launch MapleStory 2 for the first time, you'll be prompted to pick a region to play in. Please note: characters cannot be transferred between regions and you will get a better performance by selecting the server closest to you, so choose carefully. And now all you need to do is make your first character! 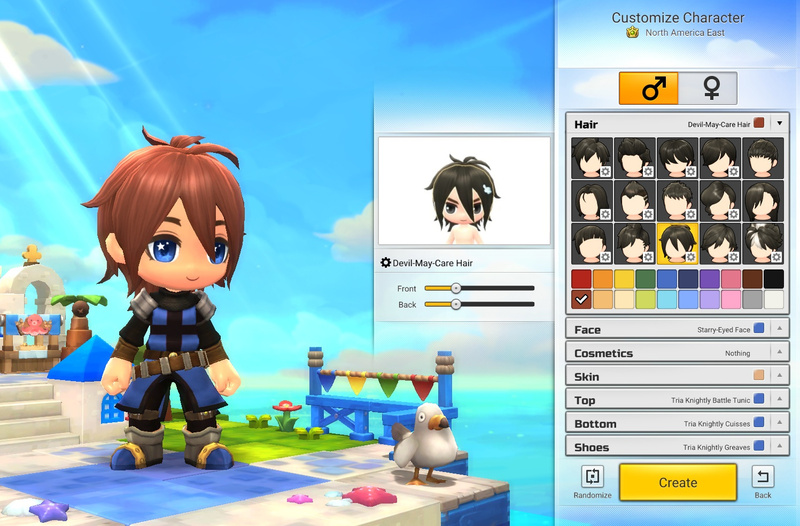 Select your preferred class and then customize your character, including their gender, hairstyle, face, cosmetics, skin tone and default outfit! Once you've customized your character just the way you like them, hit Create, pick your name and enjoy your first steps into Maple World!